Impacted Teeth(buried teeth) are teeth which are partially erupted or are unable to erupt. They could be due to improper position of the developing tooth buds or to the lack of proper spaces in the dental arch for eruption. Insufficient space can be caused by early loss of primary teeth or crowding of teeth. Most patients with buried or impacted teeth are usually unaware of the problem. This condition is usually picked up during early orthodontic evaluation. 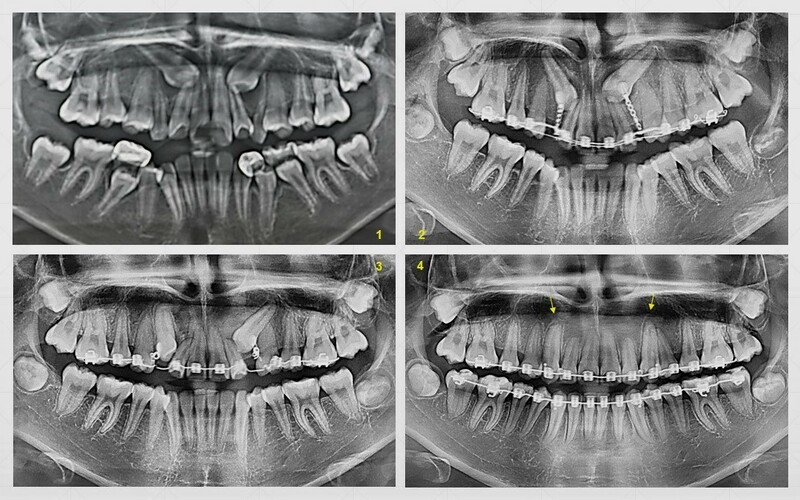 the impacted tooth can be, in most cases, guided into the correct position.